Gamma2K wrote: u mean create folder name to Garmin and then take 1 file rename to mapsource.exe ? i already did that but still it didnt work. Please help ! Actually i also having the same problem with Gamma2K and i also follow the Bro Moeyhc' step by create the file in C drive, and the result still the same. Any 1 can help? - Goto Explorer and change the Ext (the 3 characters after the dot). When you hit enter the PC will prompt of problem with changing file extension name, just allow it. moeyhc wrote: The easiest way to Install Garmin Mapsource.... An Idiot can do it in Seconds!!! I followed luv_yen360's method and MapSource has been installed. after installing...they want me to unlock wizard.....how to solve it? need password? ivan5563 wrote: after installing...they want me to unlock wizard.....how to solve it? need password? 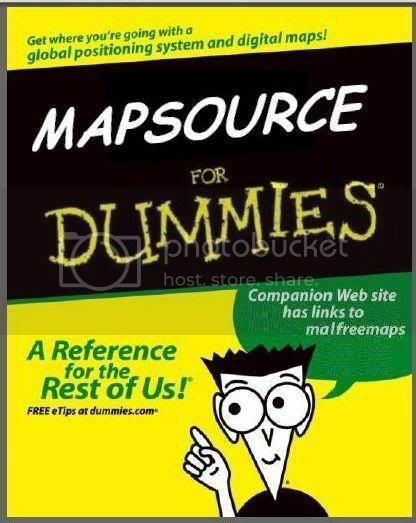 I've tried both old and new versions of Mapsources, but both indicated that I do not have the previous version and kicked me out of the installation. I've run the script (mapsource.reg), but there was no "Attachment:register-ms.png".. It only states that "The keys and values contained in C:\Garmin\mapsource.reg have been successfully added to the registry". When i download the MFM map, the gmapsupp.img is a disk image file.. Can the shifus help to advise me on this? Tried for the entire day... Thanks!! You cannot install map source directly fm file download from Garmin website as these are "upgrade" files which need original file installed. Follow the steps as outlines a couple of threads up.